Turkey and Argentina have recently become household names for many, but not because they are exotic tourist destinations. Instead, both countries have epitomised the current world emerging markets crisis, being plagued by spiralling inflation, a depreciating currency, excessive foreign-currency debt and ballooning fiscal deficits. Turkey’s inflation now stands at around 100 per cent, while Argentina’s is around 35 per cent. Yasmine Abdel-Razek, head of strategic planning at EGBank in Cairo, highlighted the two countries as examples of what Egypt should not do if it does not want to meet their fate. Addressing a seminar on “Recent Global Economic Developments and their Impact on Egypt’s Economic Outlook” organised by the Egyptian Centre for Economic Studies (ECES), a think tank in Cairo, Abdel-Razek said that one similarity between Egypt and these economies was its high domestic and external debt. 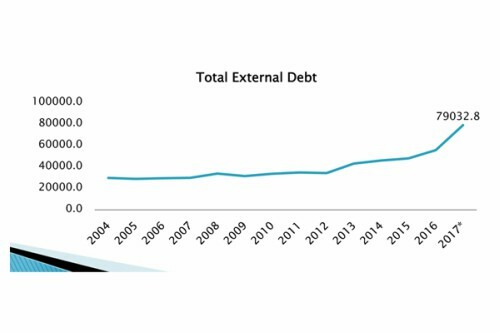 Egypt’s gross external debt stood at $88 billion in March, according to the Ministry of Finance’s June monthly bulletin, about double the external debt in 2014. Gross consolidated public domestic debt in March 2017 was LE3.2 trillion, or 91 per cent of GDP. This means the government could have difficulty borrowing to repay existing debt. Another drawback, Abdel-Razek said, was the increased reliance on foreign currency denominated debt without comfortable levels of reserves to support it. 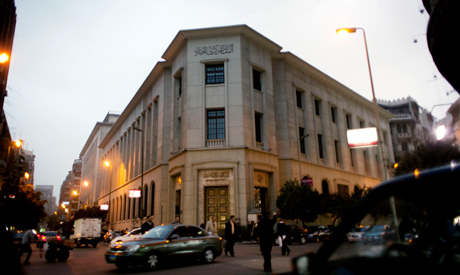 Egypt’s foreign currency reserves currently stand at around $44 billion, the highest level in the past eight years. When Egypt began to borrow externally, she said, it was done for benchmarking purposes, but now it was borrowing repeatedly, and with increasing US interest rates this was not cheap. At the end of September, the US Federal Reserve increased US interest rates for the eighth time since December 2015 to up to 2.25 per cent, levels not seen since April 2008. Abdel-Razek worried that foreign currency revenues were dependent on exogenous factors like world trade and regional stability, making Egypt’s debt servicing a concern. She stressed the need for an industrial and manufacturing strategy that focused on increasing exports. “The government’s focus is on attracting foreign direct investments [FDI], which are a driver of growth but not the main one, especially with FDI levels declining globally,” she said. Global economic conditions were a threat to the recovery of the economy, particularly rising interest rates and rising oil prices, Mohamed Abu Basha, head of macro-economic analysis at investment bank EFG-Hermes, told seminar participants. This meant investments would be affected, he explained, because investors had been looking forward to interest rate cuts. The higher interest rates will also affect the budget deficit because they mean higher borrowing costs for the government. Earlier this month, the CBE decided to keep interest rates at 16.75 per cent for overnight deposits and 17.75 per cent for overnight lending. The CBE cut interest rates by a cumulative two per cent earlier in the year but has since kept them on hold. Meanwhile, rising oil prices will mean costlier fuel imports, which will have a direct impact on Egypt’s subsidy cuts, Abu Basha pointed out. Experts predict that the government could move to cut subsidies and hike fuel prices before schedule next year. Such a move would push up inflation, which would give the CBE another reason to maintain high interest rates. Central banks often raise interest rates to discourage spending as a means of dealing with inflation. Egypt’s inflation rate rose in September to 16 per cent compared to around 14 per cent the previous month, according to the Central Agency for Public Mobilisation and Statistics (CAPMAS). With these factors in place, the government needs to work on facilitating growth driven by the private sector, Abu Basha said. He explained that while interest rates were an element that the private sector might look out for, it was not the main one, and the government could not continue to be the main stimulant of the economy. Sustainable growth and job creation could only come through the private sector, Abu Basha said. The private sector needed tax policies that support it and encourage the informal economy to formalise, he stressed. A clear plan for further reform was needed, just as there was a plan for macro-economic stabilisation, he pointed out. He stressed that foreign investors view the Egyptian economy positively because of successful macro-economic stabilisation efforts, and they have been net buyers on the stock market. “We need to have the same clarity on policies for the next decade, showing which sectors the government wants to encourage and what incentives will be given,” he added. “Our problems are in the real economy. We need to have sectorial-level policies to activate industry and agriculture,” Omar El-Shenety, director of the Multiples Group, a private equity and investment advisory firm, told seminar participants. Considering what was happening in the global economy, the government needed to revise its forecasts for FDI and portfolio investments, he said. The government had been expecting higher figures, but due to global conditions these had not been forthcoming. “We are highly susceptible to what is happening in the region and globally,” El-Shenety said. He added that in the past hikes in oil prices had meant higher import bills, but increased revenues for the Gulf countries had meant they had surpluses from which Egypt had benefited in the form of financial assistance and increased remittances from Egyptians working in the Gulf. However, these things would not happen today, El-Shenety said, because the Gulf countries had different priorities and their nationalistaion programmes had meant fewer Egyptians were being hired. All these factors would affect the value of the pound, El-Shenety said, adding that this had not been flexible enough to absorb shocks. The CBE should allow the pound to depreciate by LE0.25 gradually rather than wait and devalue by a large amount, he said, adding that policy-makers should learn that taking action quickly was necessary to avoid negative effects. “These are not the best of times for policy-makers. However, countries that faced difficulties but faced them head on have been able to get on their feet more quickly,” he said. According to El-Shenety, factors that are needed now are “policy transparency and policy flexibility”. On the same note, Diaa Noureddin, a professor of economics at the American University in Cairo, said that Egypt lacked a clear policy framework allowing people to predict what the government would do in the face of a crisis. He acknowledged that the government was in a tight spot with very limited space for manoeuvre, given higher interest rates, higher oil prices, and the higher global dollar value. However, he said that while macro-economic stablisation was essential, it was not enough to grow, and Egypt now needed structural reform. Investors were still complaining of the same age-old problem of red tape and bureaucracy, as well as policy uncertainties, he said.